With a couple of select dates in December and January, the tour resumes February 3rd in Deadwood, SD with stops in California, Florida and New York before jetsetting across the pond to The UK at the end of April. The singer/songwriter will perform shows in Europe in May and June before returning Stateside in July. Dates are scheduled through September 2018. Most recently McLean reissued his classic American Pie album in celebration of its 45th anniversary in both CD and vinyl formats. The inspiration for the title track hit McLean on February 3, 1959, when a chartered aircraft crashed in Mason City, Iowa just minutes after takeoff claiming the lives of Buddy Holly, Ritchie Valens, J.P. Richardson – “The Big Bopper” – and the pilot, Roger Peterson. 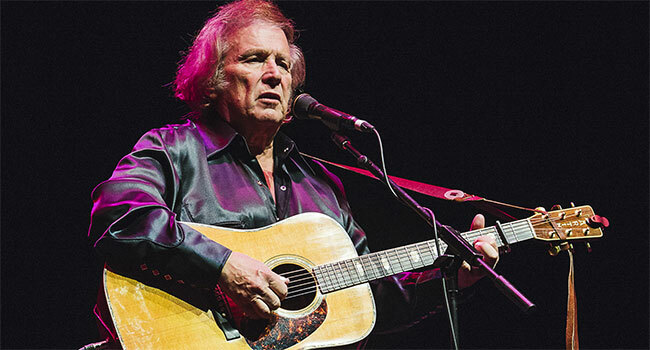 The fateful day was coined “The Day The Music Died” by Don McLean and spanned his hit “American Pie.” The song was released in 1971 and spent four weeks at No. 1 in 1972. In 2001, thirty years later, the Recording Industry of America named the it the fifth greatest song of the 20th century.